Medical marijuana has become a viable option for many Americans looking for a more natural remedy for their everyday ailments. As of the start of 2018, 29 states and the District of Columbia have lifted the ban on cannabis for a number of medical conditions. While these 29 states all agree it’s not illegal for anyone 18 older, they all have different ways to register. Keep reading if you want to learn how to get a medical marijuana card in the state that you live in. While this is the United States of America, with all 50 states not participating in the medical marijuana program, the debate has left the States divided. Having a medical marijuana card can get you out of serious trouble so be sure to bring it with if you travel with your stash. However, because you have your medical marijuana license doesn’t mean you can’t be charged on a federal level if you are caught with your medicine in a state that doesn’t permit medical marijuana. Furthermore, each “United” State of America that has legalized medical marijuana has different regulations. Therefore, the requirements and the process for obtaining a medical marijuana card in each state may (and will) differ. So, let’s cut through the confusion so you can get the ball rolling on getting your medical marijuana card no matter where you live! You must pay a fee and register with the Alaska Marijuana Registry Online. From there, you use your registration, doctor’s recommendation, and valid ID to fill out an application with the Alaska Bureau of Vital Statistics. Be sure to fill out the application completely or you will be denied and won’t be able to reapply for six months. To get your medical marijuana license in Arizona, you must pay a fee and register with the Arizona Medical Marijuana Program. After being diagnosed with a debilitating condition by a licensed doctor, you can use your registration and a valid state ID to apply at Arizona Department of Health Services. With your card, you can possess 2.5 ounces over a two week period and grow up to 12 plants in a locked facility if you are more than 25 miles from a dispensary. By paying a fee, you just need to fill out an application with the Arkansas Department of Health, along with a doctor’s certification that you qualify for the care. Within 30 days of acceptance, you should get your card. The first state to legalize medical marijuana. Since then, the Golden State has come a long way. Like many of the others, you need a doctor’s evaluation. However, California accepts online evaluations. With those results, apply with the California Medical Marijuana Identification Program. It should be noted that while you may not have a medical marijuana card in California, you are still protected in a lot of ways under California's medical marijuana laws, so read up on your rights. California may have kicked off the legalization, but Colorado kicked it into next gear. Since rec legal weed is legal, a medical marijuana card isn’t necessary. However, it does give you privileges such as the right to grow more plants. Register and pay fee with Colorado Medical Marijuana Registry. Then attach with a valid ID to the application for approval to Colorado Department of Public Health and Environment (CDPHE). Like all others, you must pay a fee and register with Compassionate Care Connecticut. 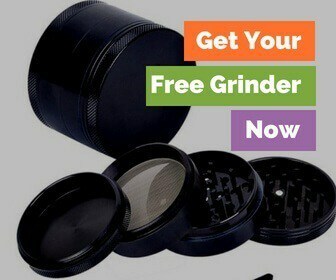 Once registered, you must apply with doctor’s note and valid ID (they are very strict that it is a Connecticut only ID) to the Connecticut Marijuana Program. You must get a doctor’s certification and register with a fee to Delaware Medical Marijuana Program. From there, submit your registration and valid ID by on the same site. To get approved for a medical marijuana card in Florida, you must be seeing the same physician for at least three months before their recommendation. From there, you apply with a valid Florida ID and recommendation to the Florida Medical Marijuana Use Registry. Finally, you apply to the Department of Health to get your medical marijuana card. Hawaii simplifies the process by giving you a one-stop shop for your medical marijuana card application needs. With their Narcotics Enforcement Division website, Hawaii allows you to register with their database and then apply for a medical marijuana card, with the fee. The first step is to get a doctor’s recommendation based on a qualifying condition. Once you have the doctor’s okay, register with a fee to the Medical Cannabis Patient Registry Program. From there, you must apply for your card through the Illinois Department of Public Health. Medical marijuana is a staple in Maine medicine. At this point, recreational pot has become legal Maine, making obtaining a medical marijuana card voluntary. They also accept out-of-state registration cards. Lastly, Maine offers no fee to register. Like Hawaii, Maryland simplifies all of your medical marijuana sign up needs into one place. With a doctor's consent and valid ID, you may register as a patient and then apply for a medical marijuana card with the Natalie M. LaPrade Medical Marijuana Commission. For MA, MJ is old hat. While recreational marijuana is about to become legal, which may change Massachusetts medical marijuana laws, you must register with the Medical Use of Marijuana Program. To qualify, you must provide a valid ID, pay a fee, medical records, and written consent of a doctor. To get your card, you must have a physician sign off that you have a debilitating condition. From there, you will pay a fee and provide your doctor's consent so you can register and then apply with the Minnesota Department of Health. With a doctor’s note, valid ID, and at a fee, you must register with Montana’s Quality Assurance Division Montana Department of Public Health and Human Services. Once okayed, you are allowed 12 seedlings, four flowering plants, and 1 ounce of usable marijuana. If you have a caregiver, you cannot grow marijuana. Funny enough, before medical marijuana legalization in Montana, patients from other states were allowed to use medical cannabis cards to save them from anti-marijuana laws in Montana. Now that the Big Sky State has legalized medical marijuana, they have cracked down on out-of-state cards. Believe it or not, it’s a long process to get a medical marijuana card in the home of Sin City. That’s because Nevada is a sovereign state and is under federal scrutiny to provide medical marijuana. You need to provide a doctor’s note and valid ID with a fee to the Nevada Division of Public and Behavioral Health. From there, you apply on the same page and wait months for results. Since rolling out, New Hampshire has had trouble keeping up with demands. So, you can start the process by getting a doctor’s recommendation, sending in a valid ID, and paying a fee to register with the Department of Health and Human Services. From there you can also apply. One thing to keep in mind, New Hampshire accepts a wider range of conditions than many other states including Ehlers-Danlo Syndrome. First, you must consult a doctor and get their approval. Send the documentation and a valid ID, with the fee to the New Jersey Department of Health to register for your medical marijuana card. Once you receive the registration number, apply through the New Jersey Medical Marijuana Program. New Mexico is a bit more strict. The doctor must sign off that you have a condition eligible for medical marijuana care, but they also prove that this is a debilitating condition. From there, you can do your registration (with doctor’s note, ID, and fee) and application both at the New Mexico Department of Health. New York’s used to fast-paced life, so they simplified their site as well. With doctor’s permission, fee, and valid ID you can register and apply both at the New York Department of Health. Under New York medical marijuana laws, you only get one month’s supply at a time. If you meet the doctor’s requirements, you must pay a fee and provide a valid ID to register and then apply for your North Dakota medical marijuana card. This can be done through the North Dakota Department of Health. In Ohio, a medical marijuana card will grant you a 90 day supply of weed. To obtain, get a doctor's note, valid ID, pay the fee to the Ohio Medical Marijuana Program. Once registered, submit your application to Ohio Department of Health Services. Oregon makes medical marijuana super simple. Just attach a doctor’s note and ID and apply through the Oregon Medical Marijuana Program. Then you should have your card within 30 days! This program is still getting off the ground. If you visit the Pennsylvania Medical Marijuana Program Website, you can apply for a card. The registry seems to be an inevitable part of the process for future reference. With a doctor’s recommendation, fee, and valid ID, you can register as a medical marijuana patient through Rhode Island’s Department of Health. Once accepted, you may apply for your medical marijuana card in the same portal. After getting signed off by your doctor and paying a fee, you must provide a valid ID and register with Vermont’s Department of Public Safety Marijuana Registry. When that process is complete, you are free to apply through the Vermont Medical Marijuana form. Until 2016, Washington did not have registries. So if you want to register, you may do so at the Washington Department of Public Health. Furthermore, you can bypass that step with a doctor’s note, valid ID, and a fee. Just fill out the medical marijuana application on the same site as the registry. This is still in the rolling out phase, as West Virginia hopes to have their program in place by 2019. In the meantime, potential patients may complete a survey via the West Virginia Health & Human Resources. For up-to-date info as the medical marijuana, plan rolls out, be sure to check with the Office of Medical Cannabis. Learning how to get a medical marijuana card can seem a bit intimidating. A lot of states will be littered with doctors itching to help you get your card. Some, however, you will have to jump though all sorts of hoops in hopes of making it happen. Now, you can apply online in just about every state. Most states still require that you get a prescription from your doctor, though! 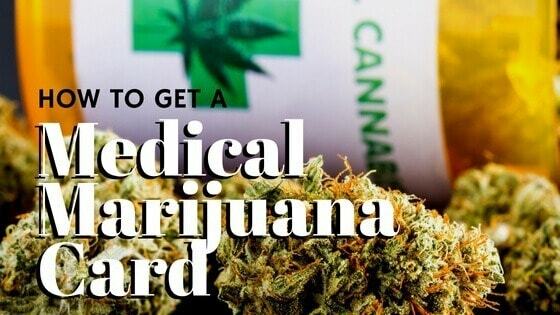 Do you have a medical marijuana card? Or did this article help you get yours? We'd love to hear the story about how you were able to get it in the comments section.